It’s also my 30th anniversary as the executive director of NMAC. Here’s what I plan to do. 2019 is my 30th Anniversary as the Executive Director of NMAC. Nobody lasts 30 years in the same job these days. I am a relic of the past and a symbol of commitment to ending the epidemic. It is my honor to do this job. It has changed the course of my life and given me a purpose far greater than I ever imagined. I also get to be part of a team that ends an epidemic. I’m thinking back to the beginning when all we wanted to do was to stop the pain. I’ve spoken at too many memorials, sewed too many quilt panels, and held the hands of too many friends as they left this world. Unfortunately, my experience is not unique. We are this strange family who went through unspeakable times fighting to make the world a better place. We got to see how ugly people can get when they are afraid, but we also got to rise to the occasion, learn how to overcome our fears, and fight for our friends. This picture was taken with the NMAC board back in 1987. We were meeting with Surgeon General Koop as he was writing his report to the nation on the AIDS epidemic. Back then, people would die six months after they were diagnosed. Funeral homes would refuse to cremate our friends. Parents would turn their backs on their children. I remember lying to friends that their parents were on the way, just so they didn’t feel like they were dying alone. These stories form the backdrop of our movement. They shape our anger and rage at a system that didn’t care about us. They are also the backbone and strength behind our fight to end the epidemic. Prioritize people living with HIV (PLWH) and support them to achieve an undetectable viral load (when possible). Implement comprehensive PrEP programs in the 46 jurisdictions that are driving 50 percent of new HIV diagnoses. Integrate community into the federal planning process. We want to work directly with the various federal departments and their institutes, centers, and administrations. The 2019 United States Conference on AIDS will focus on the federal plan while the 2019 Biomedical HIV Prevention Summit will focus on implementation of said plan. To achieve viral suppression, NMAC believes the work starts by retaining PLWH into care and treatment. Data from HRSA shows that 84 percent of the PLWH in their service model are undetectable (Yea, U=U!). At a minimum, that should be reality for all PLWH. In a world with limited resources, NMAC believes the federal plan must prioritize implementation of PrEP programs in the counties that are driving 50 percent of the new HIV diagnoses. New York, San Francisco, Boston, and Washington, DC, have all demonstrated how PrEP uptake has made a difference to bend the curve of new HIV diagnoses. Seventy-four percent of the people on PrEP are white. These programs must reach all communities highly impacted by HIV. It is time to build advocates on PrEP like people living with HIV leaders. 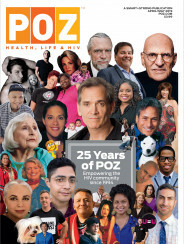 They can fight the stigma and misunderstandings about PrEP, be role models, and create another path for building HIV leaders like PLWH to be leaders in our fight to end the HIV epidemic. Treatment is prevention. Most HIV care and prevention programs work independently. Now is the time for system integration. All federal departments, particularly HRSA, CDC, NIH, HUD, CMS, and SAMHSA must collaboratively plan to end the domestic HIV epidemic. They must also work with community. We are central to the implementation of any plan. Community is the only way these interventions can be brought to scale. 2019 USCA scholarships will prioritize folks working on their city, county or state plan to end their epidemic. USCA will bring these leaders together to review the federal plan and share resources. The 2019 USCA Opening Plenary hopes to invite House Speaker Pelosi, Dr. Redfield (CDC), and Dr. Fauci (NIAID). They can talk about the federal plan and the funding needed to accomplish it. This year’s Summit is a boot camp that will focus on two things: Retaining PLWH who have fallen out of care (approximately 200,000 people) and building PrEP programs in CBOs. Forty percent of the scholarships will be targeted for case managers, 40 percent for leaders from select geographic regions that are setting-up PrEP programs, and 20 percent to help with any diversity challenges. Speaking of scholarships, NMAC is working to make the process more transparent. People still complain the process is unfair and scholarships go to the same people every year. Hopefully, our new structure will make it easier to manage and more transparent. It will be released at the end of January. Making the scholarship process more transparent will hopefully improve confidence in the results. The same is true for a federal plan to end the domestic HIV epidemic. I will write regular Ending the Epidemic (EtE) e-newsletters that share my thoughts about ending the domestic HIV epidemic. My goal for these musings is to help community get ready for the next phase of our work. We are going to end an epidemic. It is important to always remember that ending the HIV epidemic is not the same as ending AIDS. To end AIDS, we need and must fight for a cure and vaccine.